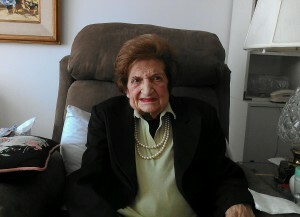 Helen Thomas is an old pro at covering Presidential Inaugurations. The 92-year-old retired journalist began her career as a copy girl, but has been covering the White House since President Kennedy took office in 1961. Through her experience with 10 presidencies, Thomas has maintained one particular mantra….always tell the truth. “Play it straight, be fair, and hope for the best,” Thomas told WEBN Boston today at her Washington, DC home. The former award winning White House reporter is concerned balanced journalism is declining. “There’s much more bias, much more injection of personal opinion. You don’t get the straight reporting anymore,” she said. Although Thomas worries reporters aren’t asking the difficult questions anymore,she thinks there’s hope for the future of political journalism. “If you try to seek the truth you will be a great journalist. You have to do the right thing even when it hurts. I think you have to believe in this country and believe it can improve. There’s always room for progress,” she said.